It’s funny how principals think they are in charge, but everyone knows that the people who really run a school are the secretaries. If you have questions, ask the secretary. If you lose something, see the secretary. If the copier is jammed, get the secretary. If a child throws up, send her to the secretary. Mrs. Tricia Nielson and Mrs. Aubree Barnum are our school secretaries. Everyone should try to make friends with these wonderful secretaries; you will need them more than you ever know. They are the backbone of the school. Wednesday is Secretary’s Day. Happy Secretary’s Day to these wonderful ladies, you are amazing and we love you! The PTA created a great week last week! We had three fun events; the bookfair, the art show and the family skate night! 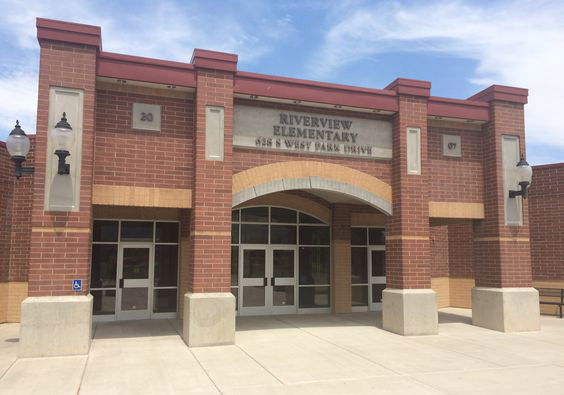 On behalf of Riverview, I extend my “Thank You!” The true beneficiaries of your efforts are the students at Riverview Elementary School. The yearbooks have been ordered and are currently being printed. The PTA have ordered some extra books, BUT not a lot. If you would still like a book, you may purchase one for $15 through the office or Lifetouch’s website at YBPay.lifetouch.com. Enter code: 10708318. The books will be delivered the last week of school. The final day for book check out in both the main library and take home this year is Friday, May 4th. All books are expected to be returned to the library no later than Friday, May 11. To encourage students to bring their books in or pay for lost/damaged books on time, Mrs. Downey and Mrs. Marsigli are holding a little contest. The first class in each grade to have all of their library books returned or lost/damaged fines paid (meaning main library and take home books) will receive donuts! That's right, there will be 7 class winners, one from each grade. Each week in library if a student does not have any overdue books or returns their overdue books that class period, they will receive a ticket to fill out and place in the drawing basket for their grade. The overdue books include main library and take home library. On Monday mornings, Mrs. Downey will draw a winner from each grade to come down and select a book or reading buddy (stuffed animals that coordinates with a book). They'll be holding this contest each week for the rest of the school year. May 10th – Orchestra Assembly @ 9:00 a.m.
May 21st – 1st & 2nd grade talent show @ 9:00 a.m.
May 24th – Last good citizen reward – 12:40-2:40 p.m.